Gambling has always been the talk of the town for people who like to bet and play for money. While some people are lucky enough to double their money in no time, there are many who go back with empty pockets. This was about the people who come and play in casinos. Ever thought what a task would it be to manage the uncountable amount of money that needs to be managed daily? Even thinking of it seems difficult, isn’t it? While physical money has always been the prominent mode of payment in gambling, it is often a victim of forgery. Owing to this, people have now started to look for alternatives to physical currency. This is exactly where we find the need of cryptocurrency. The latest in the market is Dragon coin, worlds first casino and gaming token. Dragon is an Ethereum Blockchain ecosystem that has strong relations with the junket operators. These junket operators have close relations with the VIP players that play a major part of the Asian gaming industry. Based on Ethereum Blockchain ecosystem is the new cryptocurrency named Dragon Coin. It is an ERC20/ Ethereum Utility token. As proposed, Dragon tokens can be initially bought through the token sale, and thereafter will be available for purchase on cryptocurrency exchanges. Casino players and people who wish to invest, both will be able to purchase DRG and then gamble at casinos that are built on Dragon Ethereum Blockchain ecosystem. The chips or coins purchased using DRG ERC20 token in the token sale are called as Dragon Global Chips(DGC). These Dragon Global Chips are purchased by people who play in casinos. At the casinos, DRG tokens can be exchanged for DGC which is commonly known as a cryptocurrency chip. Use of DGC makes all the transactions between the casinos and players totally transparent and secure. The main idea behind the evolution of Dragon Coin is to develop a system that is low cost, transparent, secure and will augment the old-fashioned gaming era. Based on Ethereum Blockchain technology, its main purpose is to revitalize the gaming industry. December 2016 was the first time when the idea of developing such cryptocurrency came into existence. This evolved when Dragon founders and the Junket heads held a meeting to develop an Ethereum Blockchain ecosystem for casinos players. After successful documentation, Casinos and Junkets in Asia became partners in June 2017. Macau witnessed the first ever public appearance of Dragon. The event saw innumerable Blockchain and Token sale experts from across the globe to tweak the mission. The first pre-sale saw institutions and investors raise almost 20 million USD. Pre ICO was launched on 8th Dec and continued until 31st December 2017. Dragon will get listed on Exchanges and will launch the first batch of Junkets and Casinos. The launch of Public Crowd sale. After the successful inception of Dragon in the casinos, it is proposed to expand the same into Macau, which is the biggest Casino market in Asia. The first stage involved buying DRG ERC20 tokens. Players can easily buy the dragon coins from Cryptocurrency Exchanges. 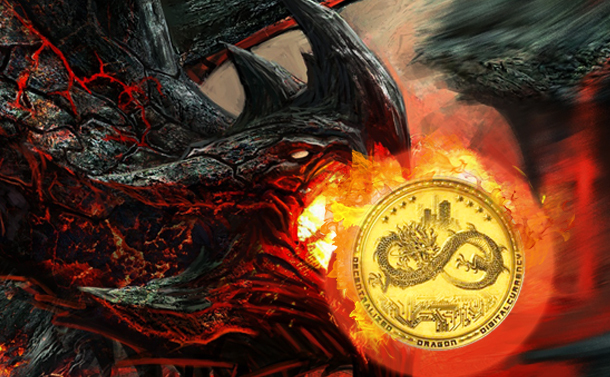 Once players have bought DRG ERC20 Tokens, the next step involves exchanging them for Dragon Chips (DGC). Exchange can be done at the partner Casinos & Junkets. When players win amounts while gambling, they are rewarded with winnings which they can exchange for DRG. Players also have the option to exchange it for other cryptocurrencies and can even receive a pay-out in FIAT. To reduce the total supply, profit portions are utilized to buy-back DRG tokens. Improved efficiency and speed of transactions. Availability for a broader user base. Cost reduction in the fee paid by gamers and the cost incurred by the spree operators. What Future Does Dragon Coin Hold? Dragon Coin has set a path to revolutionize the gaming and gambling industry. With Dragon Coin available on cryptocurrency exchanges, people will move towards the digital world of gambling. This will not only make the entire procedure easy but will also be highly secure. Dragon coin is said to be the future of gambling and will be popularly known as the gaming currency in the coming years.